Combi-Coupler adapter KKA for fork head link. 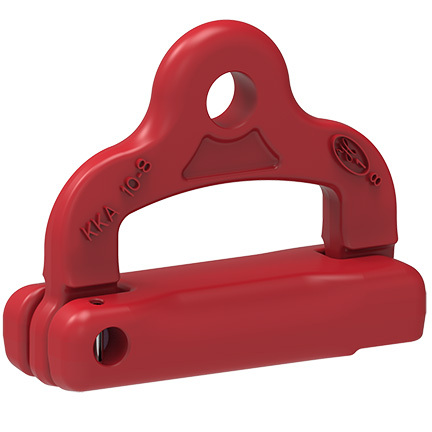 Non-interchangeable connection of all RUD Grade 8 and VIP clevis connectors in combination with chains. A shortening element can be used to change the length of the round loop.